My home lab is a beasty Xeon D-based server with 128GB of RAM, chock-full of storage (fast NVMe and SSD as well as four 3.5″ 3 TiB disks), a quad-core Xeon D-1521 and two 10-gig ethernet interfaces. More than adequate as a server, and it comes in a small and silent package. A home lab server, running ESXi and the vCenter appliance with ample storage and compute resources. I built this server and documented it: Build a Xeon D-1500 (Open) Home Lab with me?. A Home media automation system running Sonarr, a MySQL database for Kodi, HTPC Manager, Logitech Media Server, Resilio Sync and the UniFi wireless controller. But, there was one thing missing: a graphics card, for a 4th scenario. As the occasional gamer, I didn’t want to have an additional PC in the house. In addition, it felt like a waste of resources to not use the home lab server for this. So I went out searching for a small but capable graphics card to complement the server, but there’s a lot to take into account. Let’s break it down. The chassis is very small, so there’s not a lot of room in there for a full-size graphics card. There only room for single-slot cards, and these need to be low-profile, too. Lastly, most gaming cards are very long; the chassis didn’t allow for this since there’s all kinds of connectors (for fans, etc.) in the way of the length of the card. 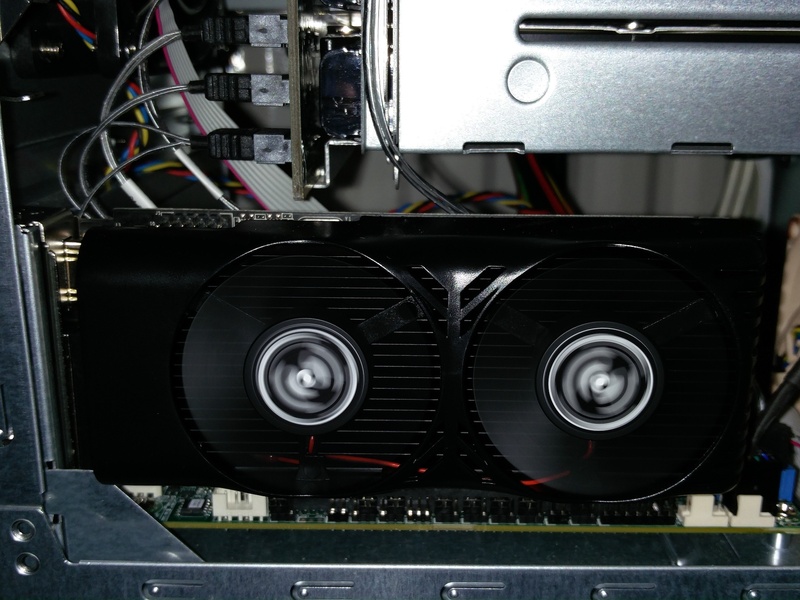 The power supply is only 250 watts, which severely limits the selection of GPUs. Since I use the server for various other purposes, too, running ESXi as the base platform was a hard requirement. This meant that any gaming needed to be done inside a Virtual Machine. 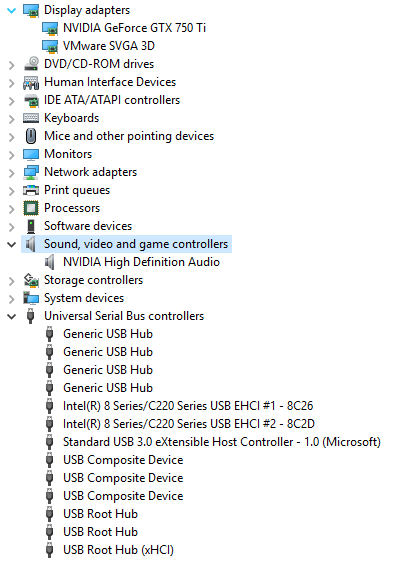 This brought on a slew of extra stuff to consider, since I now had to be able to pass through PCI-devices to the VM: the GPU, the embedded audio card, a mouse and a keyboard. I wanted to play fairly recent games, so DirectX 11 was a must and DirectX 12 a wish. Having a card that passes through audio via HDMI is a must, too, since there’s no room to fit an additional audio card in there. A DAC via USB is a possibility, but I didn’t require it (HDMI audio was good enough) and I didn’t want the extra clutter. I found the perfect solution in the MSI N750 TI-2GD5TLP at 146x69x38 millimeters. It barely fits the physical limitations: it’s a low-profile, 1-slot card that is very short. So, it actually fits inside of the chassis. Almost. 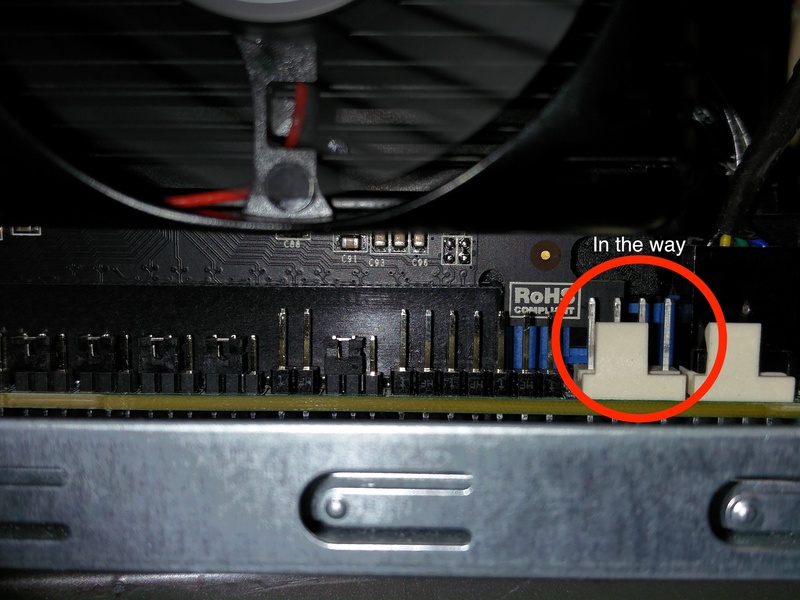 The card with its fans attached is a little too thick; the card sticks out from the side of the chassis. The temporary solution is not putting the chassis cover back over the rims, but kinda let it hang. In the next days, I’ll try removing the dedicated fans from the GPU and create better airflow from the front to the back of the chassis. The card draws a maximum of 60 watts, which is way below the threshold; the system gets up to 80 watts under load without the GPU, and I figure it’s going up to 150 watts during games. And: it works in a VM. I needed to do a little hocus-pocus to pass through the card to a VM since the UI wouldn’t let me, but a quick edit of /etc/vmware/esx.conf and a reboot did the trick. I passed through the integrated audio chip and an USB root hub too, so I could easily attach a mouse and keyboard to the VM. PCI Passthrough of a GPU to a VM might not be available from the ESXi Host Client. I’m figuring this is because the BIOS claims the card during boot. I added the GPU to esx.conf manually. Seeing a physical host boot from the GPU, and then have the VM ‘take over’ the card as the VM boots is pretty awesome. I was lucky I could pass-through a whole USB root hub to the VM. Depending on your motherboard’s design, this might not work as easily. Be prepared to test this (researching this beforehand using vendor manuals or documentation is nearly impossible). There’s other ways to expose a mouse and keyboard to a VM: use a KVM-over-IP for this like Paul Braren does. When you have installed the corresponding graphics driver, your VM console starts to do all kinds of funky stuff with the virtual VGA adapter. The mouse pointer disappeared on one of the VM screens (since it now has 2 screens: one from the virtual VGA adapter, one from the physical GPU), and they don’t play nice. Switch to ‘show only on 2’, which disables the virtual VGA adapter. Be aware that you don’t get to see the console of the VM (inside the Host Client) anymore, either. Tweak the power settings of the VM to never go to sleep and to never turn off the display. I have played a couple of games of a few hours, and I can say that performance of the Windows 10 VM with the GPU is adequate. The biggest limitation here is the GPU itself, which is ‘only’ a NVIDIA GeForce GTX 750Ti with 2 GB RAM. 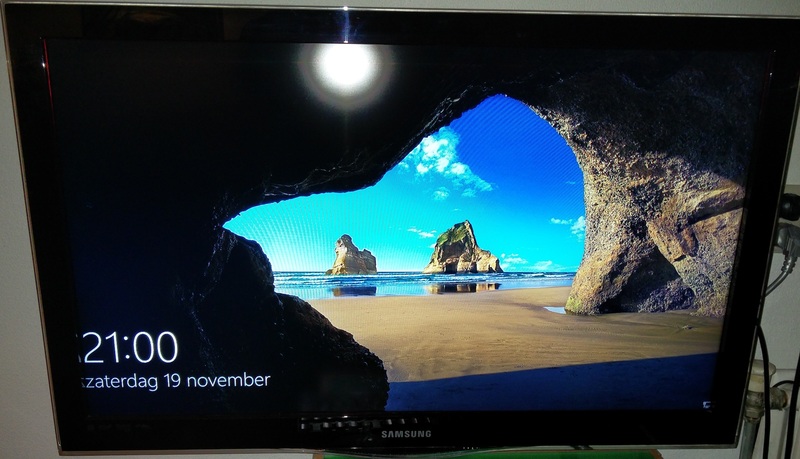 Rarely was I more excited to see a Windows 10 lock screen on my TV. It works, and it so without too many hacks or quirks. Gaming performance is adequate, although actual testing is needed to figure out if it’s slower than a physical machine with the same specs. The next step will be to figure out to make the server headless again; it looks like a Steam Link might fit the bill. Me, I’m really happy with the result: I still only have a single machine, that now does four things for me: home lab, NAS, home media and gaming rig. All well under 100W in a single package! This is great work! By the way, is this tested on ESXi 6.5? Not yet, I’ve tried ESXi 6.5 on this machine earlier this week, but it has a bug misreporting RDM disk size..
Gaaf Joep, mooie blog weer! i call bs. 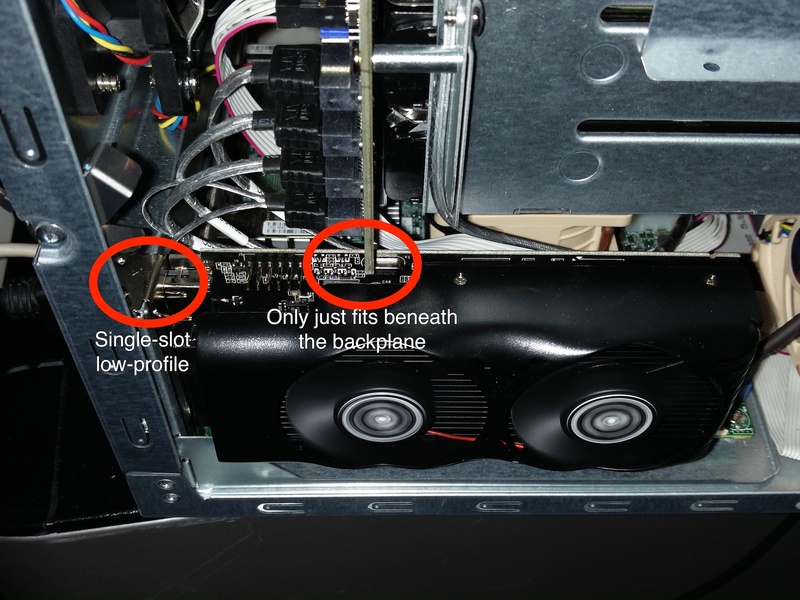 Yes you can “pass through” the gpu but cant use it as nvidia blocks this with consumer grade cards. Unless you flashed/hardware modded your card. Hi Scooby. Luckily, I’m not bs’ing. It really works, nothing is blocked. I did have to manually pass through the card using this method: https://kb.vmware.com/kb/1010789, as the UI wouldn’t let me pass it through. Also, I added ‘hypervisor.cpuid.v0=false’ to the VM’s VMX. One question. How do you remote connect your television with the host Esxi? 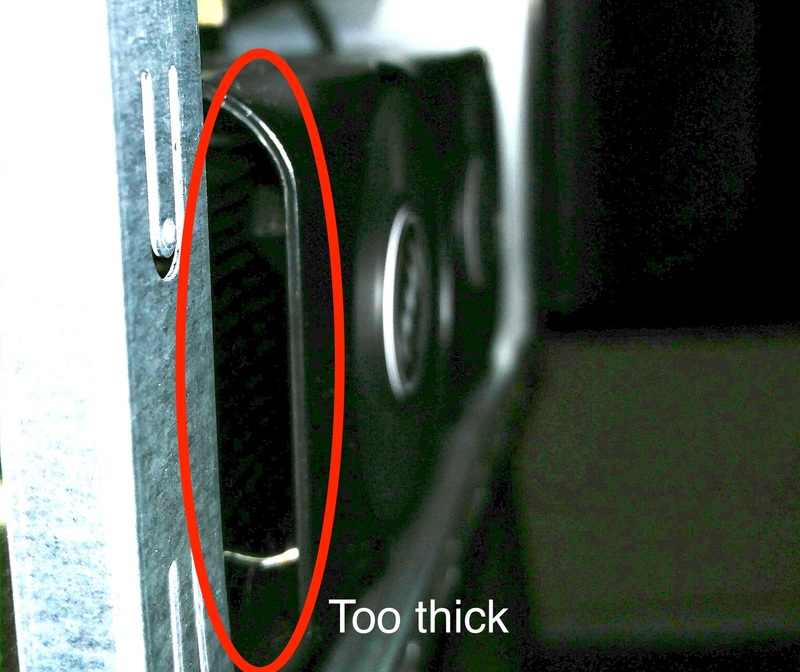 Do you use a thin client? No, the server is headless and has an IPMI interface. I have a Steam Link that connects to Steam running on the Game VM connected to the TV. Which Supermicro motherboard have you used? Can you show us your esx.conf so we can see how the trick works? I have the X10SDV-4C-TLN2F motherboard. Jan thanks a lot for your help!!! If I’ve understand it well, the lines above enable the video and audio output passtru (but not the USB passtru). Did you enable the USB passtru adding the lines below? If so, which would be the proper values for the fields with “xxxx”? Yes, the two lines passthrough the entire graphics card, video+audio. 1. Any USB storage device can be passed through by using the virtual USB controller attached to a VM. With this method, you can pass through a single USB device. HID-devices (mice, keyboards, game controllers) cannot be passed through like this, as VMware blocks this. There’s no technical reason why passthrough of HID devices shouldn’t work, but VMware simply doesn’t support it. 2. If you want to attach HID devices to the VM, you need to pass through the entire USB controller. You cannot pass through a single HID-device. So if you have other USB devices attached, they will be passed through as well. Both scenario’s (attach a single USB device or pass through the entire controller) can be achieved using regular UI interfaces (the HTML5 Host Client, vSphere Client or Web Client. It’s just the GPU pass through that cannot be done via the UI but only via esx.conf. Lastly: I didn’t pass through any devices for long, just during testing of this rig. I don’t have any USB devices attached to the physical server right now, as I use the virtual console or RDP to control the VM, and have a Steam Link attached to the TV to stream game content. Joep thanks a lot for explaining! Hi, I have a very similar setup, with an additional GPU. I have everything working properly but I have audio glitches, did you face this problem? Before I buy a Access Point my Dell T3600 had a Wifi card connected to it and passthrough to the OPNSense VM and I had all sorts of problem which led me to the Access Point. But even plugging a usb audio card I have those stranges nonsense glitches on the audio. If i ignore the audio I can play Counter Strike GO at full with fairly decent response, only the audio is crap. Hi Giovanni. I didn’t add a physical sound card (neither the GPU or the motherboard has one), so I used virtual sound card software to add a device. This device is used to stream the audio to my Steam Link; no audio is output on the VM or physical server itself. This software is called Virtual Audio Cable, I used version 4.15. As a reminder, I did have to used a HDMI dongle to fake a display on the physical GPU. Without it, the GPU wouldn’t stream neither video or audio. I bought a fit-headless; http://www.fit-pc.com/web/products/fit-headless/. It is exciting to experience a virtual game running through a Xeon D server, a GFX 750Ti, PCI passthrough and a Windows 10 VM. Yes, I am aware of the drawbacks. Still, I like it. The post has elaborated the solution in a great way; however, I am yet to implement it. I also agree with you that the performance of the Windows 10 VM in association with the GPU is enough. There is a requirement of actual testing when it becomes slower than a physical machine with that old specs. Looks great – however I’ve struggled to get this to work in an almost identical scenario. Really hoping I can get this going on my home lab server, to give me a little gaming for sanity purposes..! Or am I missing something more basic..? I know that I need to be very careful with patching and upgrading, so I’d recommend you look at the ESXi version. I am running 6.5.0 Update 1 (Build 6765664). Also, do you have a physical HDMI terminator? I couldn’t get anything to work without a dongle so the card firmware thinks there’s a physical display connected. It freezes / gets into a weird line-flashing-mode every time during boot at the same point – only way out was to re-install leaving my volumes in place (not even an upgrade fixed it). PS I didnt need a dongle as I was leaving a console screen and kbd connected at all times anyway…? Interestingly I tried booting off a Linux USB boot ISO to see if I could edit the drive esx.conf file after messing it up, and /etc/vmware directory isnt visable on the drive…. …I guess it must hide those files somewhere else…! Still a good lesson in ESXI repair none-the-less…! What version of esxi did you get this to work stable? I plan to replicate your setup. Thanks.